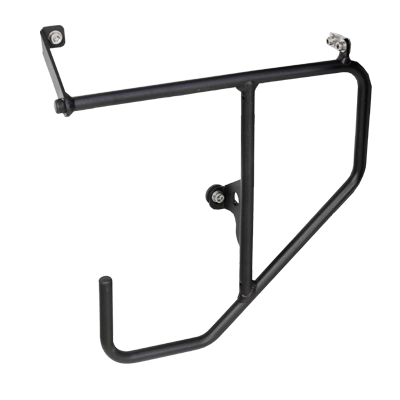 The mounting on the front head tube of the Helios is compatible with both R&K and Brompton Luggage. 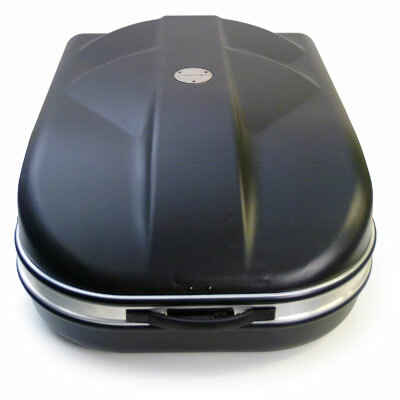 The Brompton block can be fitted to the front giving you access to their excellent range of bags. We particularly like the T bag, which we find works well for general use or for touring. 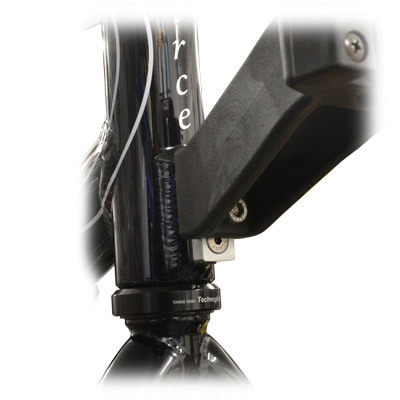 This adapter converts the mounting block on the front of the Helios head tube, so that it will accept the standard Rixen & Kaul fitting. 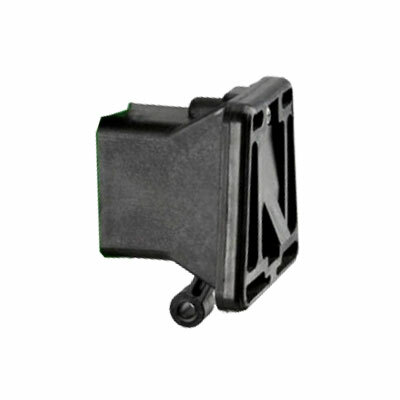 The adapter is the silver part in the picture, Rixen and Kaul bracket sold separately. 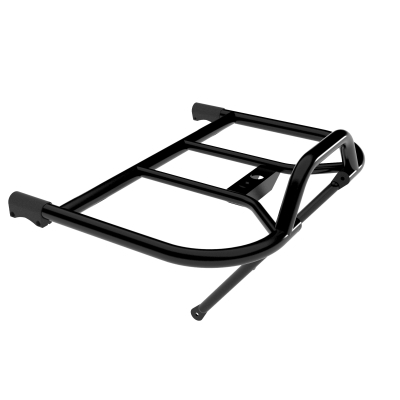 Fitting the Racktime Fold-it Fix 24" rear rack allows a slightly lower load platform and consequent smaller pack size. 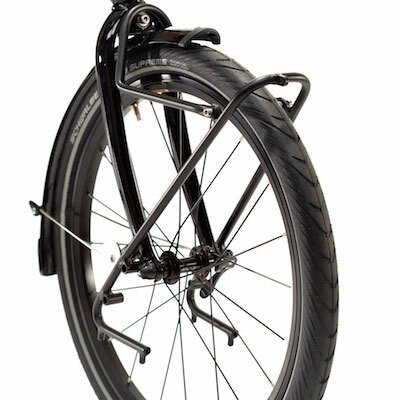 The lower pannier positioning also results in a lower c of g with potential advantages in handling. 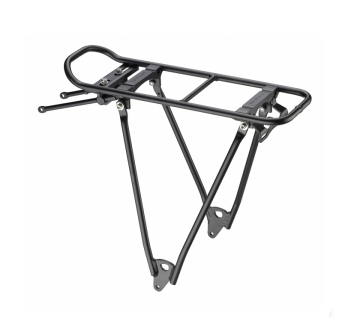 The Morpheus Mid rack allows a full size set of panniers to be mounted to the middle of the Morpheus, providing valuable extra carrying capacity. 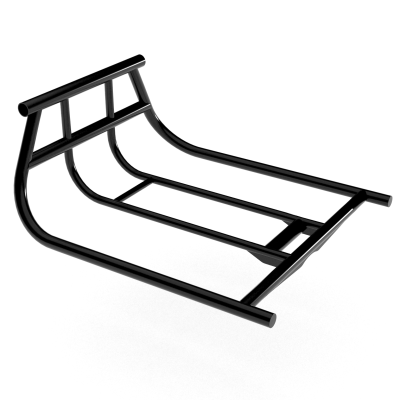 Custom made case, vacuum formed from tough HDPE, it has four wheels, a drag handle and four catches, and will take a Helios tandem fitted with the Separable kit. 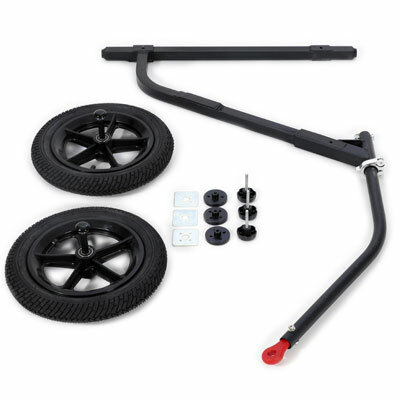 By installing the Trailer kit, the Traveller case can be converted into a touring trailer. The ideal combination for transporting your Helios by Air and then embarking on a long tour! Converts the Traveller case into a trailer. The trailer kit and certain configurations of dismantled tandem will fit into the case allowing completely self supported travel ( No more, ‘well what do I do with the case?’). If you have any questions please give us a call or drop us a message.